So we went away on a weekend getaway for July 4th. Nowhere far, just a couple hours away from the city. A change of scenery and a beautiful hotel room, can do wonders for the soul. 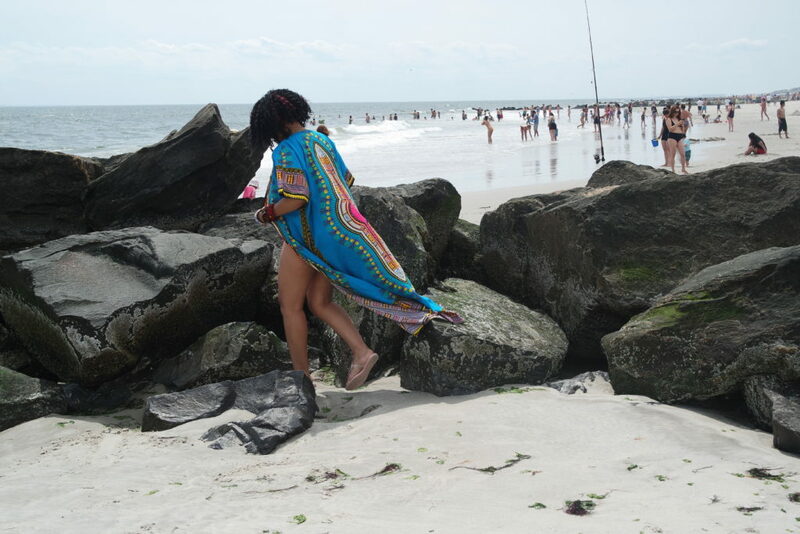 I had in mind to do Beach Glam all the way, which is why i’ve been tagging all of my pics, #slaycation. 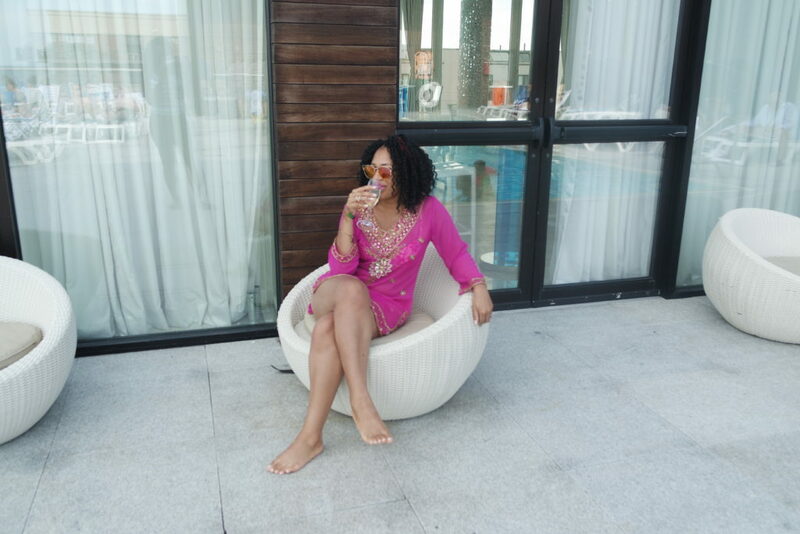 A play on the word “staycation”, but so much chicer! 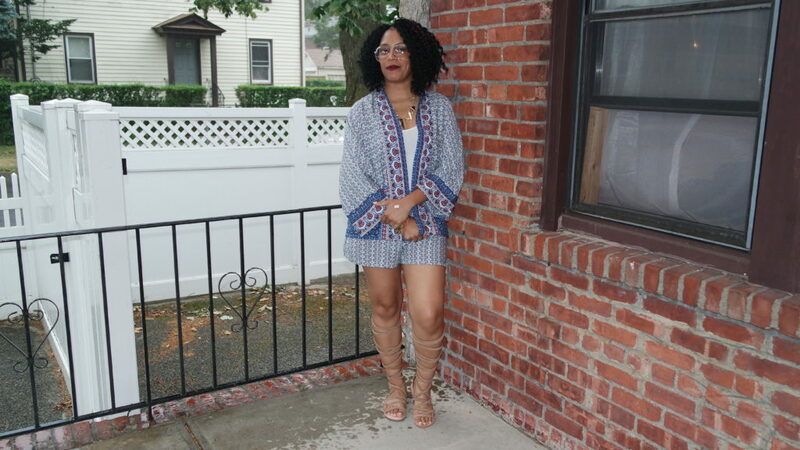 To travel to our destination, I wore this co-ord set from my BooHoo unboxing, and my fave gladiator sandals from my recent shoe lookbook. Super comfy for the ride, and suitable enough to head to dinner upon arrival. The next morning it was time to hit the beach! I’ve been saying I needed a tan for weeks, well here was my chance. 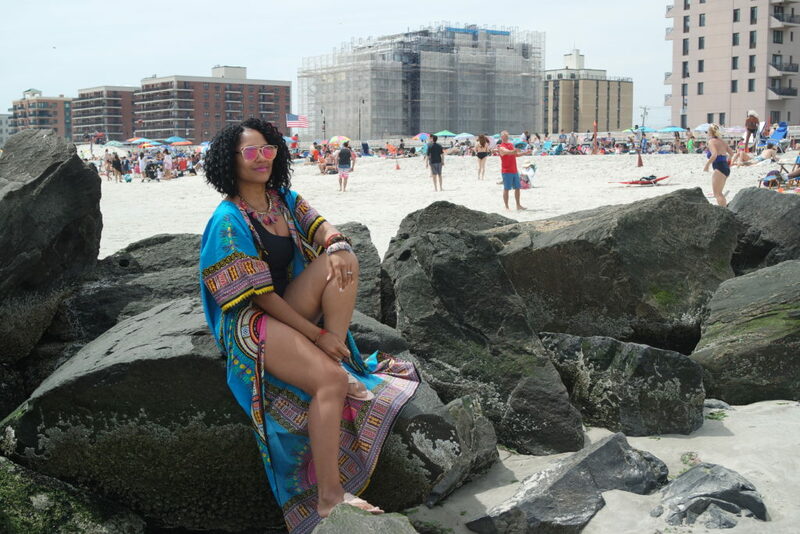 This look for me was the epitome of beach glam! 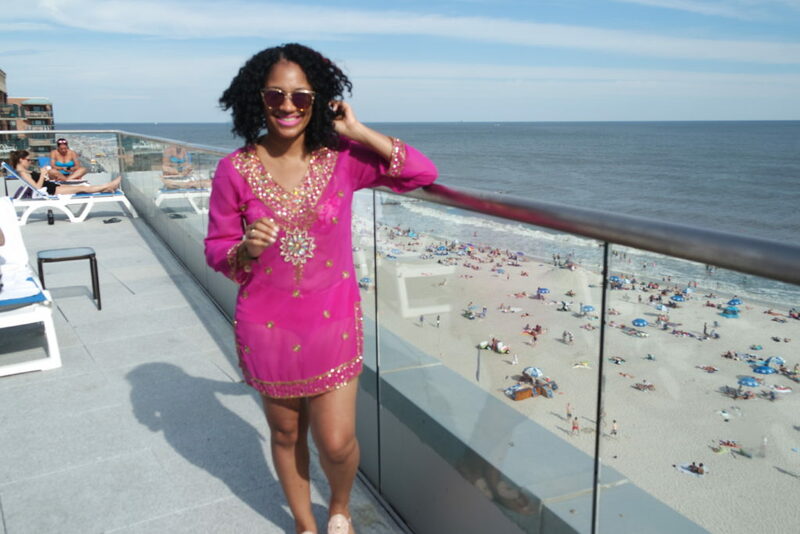 Pair a luxurious jeweled kaftan from Dubai over your bathing suit, done! 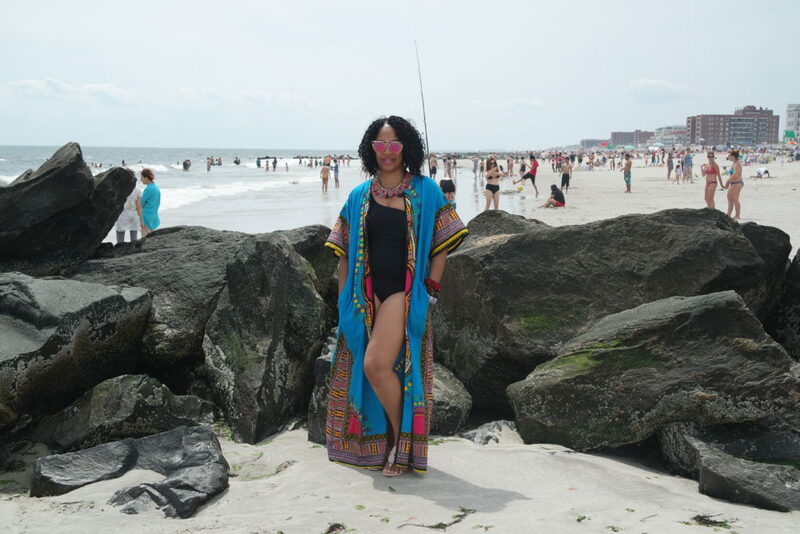 And yes I wore lipstick to the beach, I wasn’t there for swimming! My boy short two piece bathing suit was from Victoria’s Secret. My beach jelly slippers are Jack Rogers, currently on sale at Nordstrom. 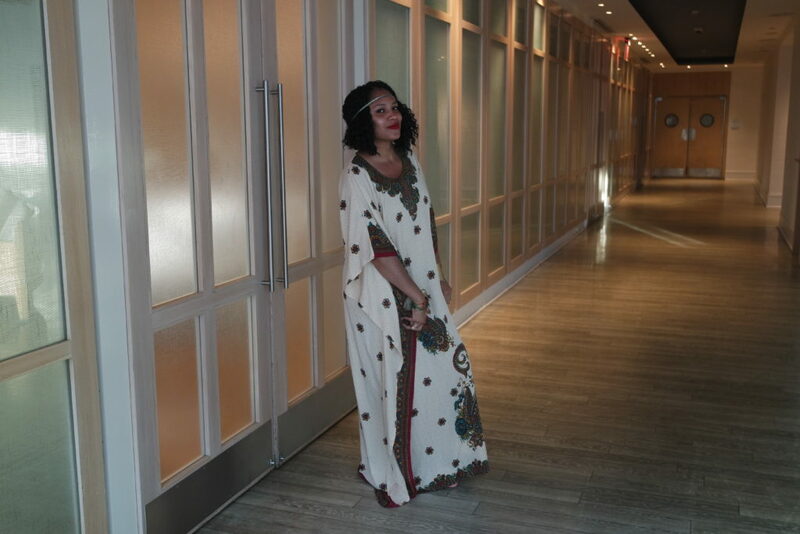 I kept the Kaftan chic look going that night for dinner. This beauty was also a gift from Dubai. I’ve been saving it for that “special occasion”, but let’s be honest, everyday you wake up, is a special occasion! I wore this with a headband and flat jeweled sandals. You all know i’m a hippie at heart! 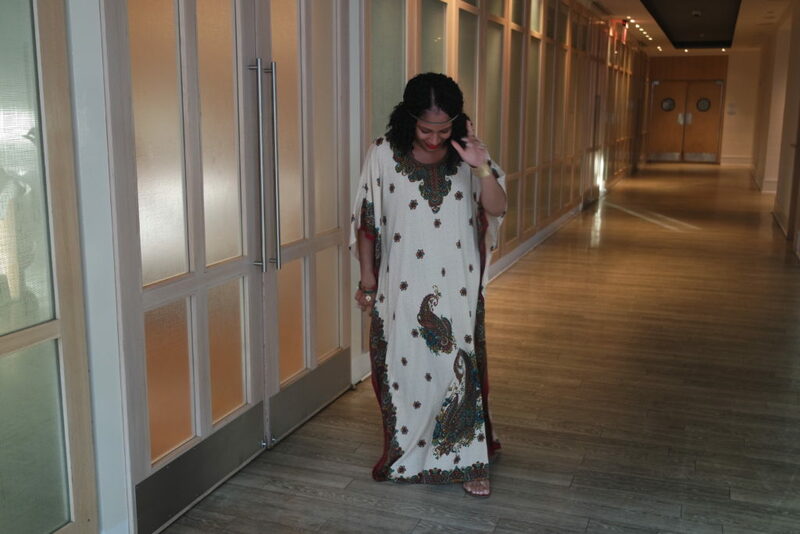 I can’t wait to rock more of these kinds of kaftans, I love the royal vibe! Beach Day 2. A more casual slay on the glam vibes. 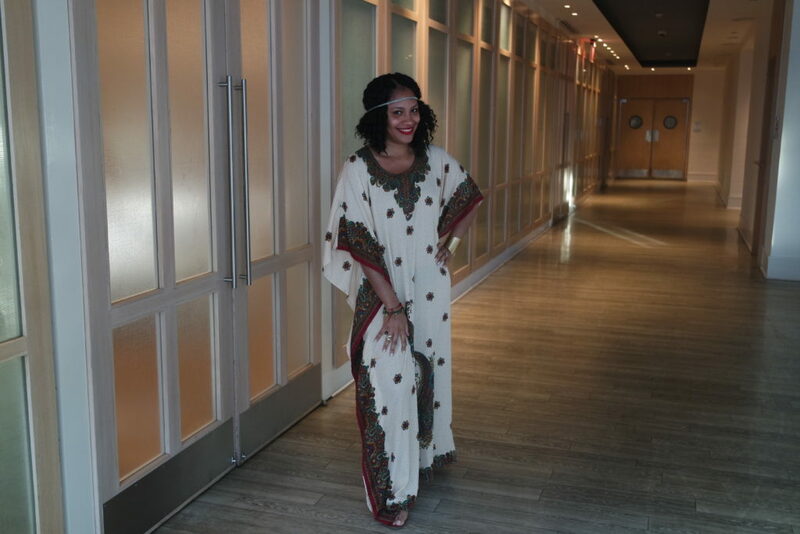 I donned this beautiful dashiki cape over a one piece suit I scored from Target. Feel free to jazz up your swimwear by accessorizing with necklaces and bracelets! 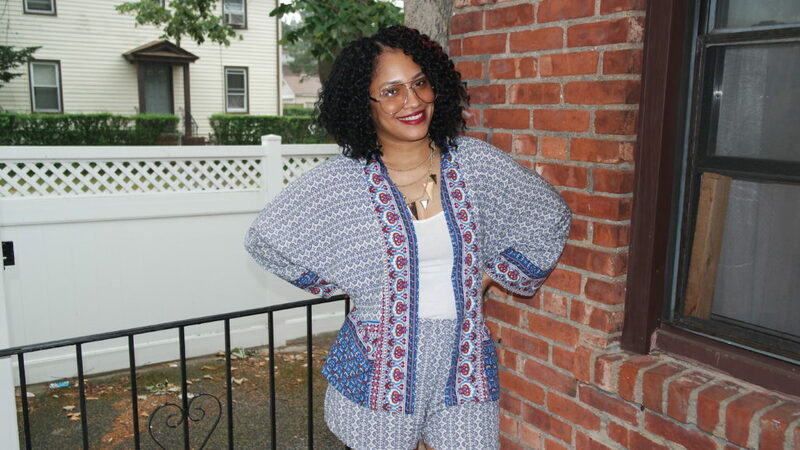 Hope you guys are inspired to take your holiday travel attire up a notch this summer! Follow me on Instagram to see more of my shenanigans, @3thechicway! Stay Chic!